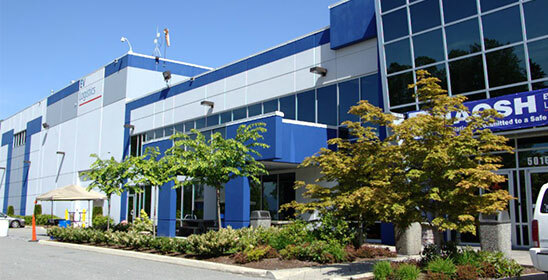 EV Logistics Ambient (EVG) Facility: This facility is located at 5111 272nd Street Langley, BC. EVG first opened its doors in 2001 with less than 50 employees and under 200,000 square feet of space. In March 2002, the facility expanded to over 400,000 square feet and has kept growing. Over the past decade we have expanded and now have a facility of 485,000 square feet and over 350 employees. This facility receives and ships dry grocery products and goods. EV Logistics Perishables (EVP) Facility: This facility is located at 5016 272nd Street Langley, BC. EVP first opened its doors in a brand new facility in March, 2010 and currently has over 320 employees. EVP operates a 380,000 square foot refrigerated facility with temperature controlled work areas that range between 14 degrees celsuis to -26 degrees celsius. This HAACP certified facility receives and ships product, meat, dairy and frozen products and goods. 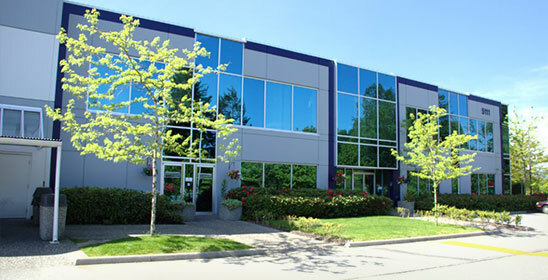 EV Logistics is a landmark in the Gloucester Industrial Park in Langley, and we are very fortunate and proud to operate in this area of beautiful British Columbia. We operate two distinct facilities that operate 24 hours a day, 7 days a week, 364 days a year. The diversity of the city is reflected in our workforce and we continually aim to contribute meaningfully to Langley and the surrounding areas. We do this through initiatives such as adopting the street our facilities are on as a way to keep it clean and safe for others, as well as through participating in many community events and partnerships. EV Logistics also offers its employees many perks including employee celebrations, on-site fitness centre, team events, BBQs and health and wellness initiatives. © 2019 EV Logistics. All rights reserved.